French sculptor. A pupil of Franois Girardon and Antoine Coysevox, he won the Prix de Rome in 1694 and spent the years 1695-99 in Rome, where he contributed two elegant Baroque bronze bas-reliefs, from drawings by Andrea Pozzo, to the sculptural ensemble of the altar of S Ignazio in Il Gesu (in situ). 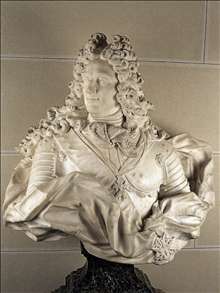 On his return to France he was approved (agr) by the Acadmie Royale in 1700 and received (reu) as an academician the following year on presentation of the bas-relief Time Unveiling Truth (marble; frags, Paris, cole Nationale Suprieure des Beaux-Arts). 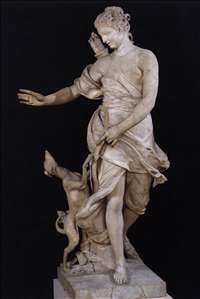 At the Salon of 1704 he exhibited an ambitious stone group of Hercules Abducting Deianera (Chantilly, Chteau, park), which recalls the great groups of Giambologna and Gianlorenzo Bernini as well as the sculpture of Versailles. He was invited to work at La Granja by the Spanish king, Philip V, Louis XIV s grandson, and left France in 1721, finally returning only in 1738, having accumulated a large fortune. His finest achievements lie in Spain, chiefly in the gardens of La Granja, near Segovia. Fremin s work at La Granja was considerable. His task was to adorn a transplanted Versailles, in a much more rewarding natural setting, with a constant supply of vases, avenues of statues, and elaborate groups for fountains, often in the medium of lead. Before leaving France he had gained experience working in lead and in a comparable decorative idiom for Marly and for Versailles itself. See more details about "A Companion of Diana"
See more details about "Philip V"